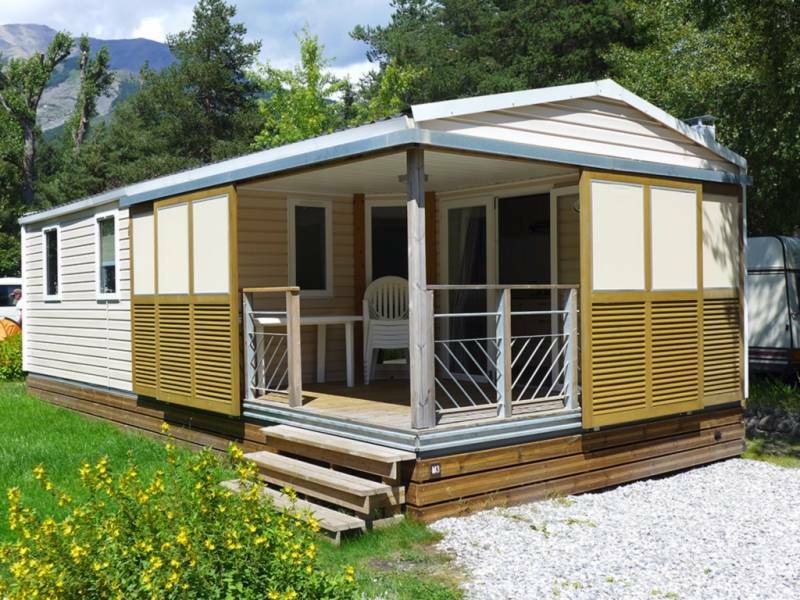 Ideal for a big family or a group of friends, enjoy the comfort of our biggest accommodation to discover the Valley. Our biggest accommodation with 3 bedrooms suits a big family or a group of friends. There is one bathroom and an equipped kitchen. You can also enjoy a quiet moment on the terrace with the stunning view of the mountain here. The mobile home is heated. Check now the availability of our accommodations on our booking platform. Enjoy a night in a cabin in the air. 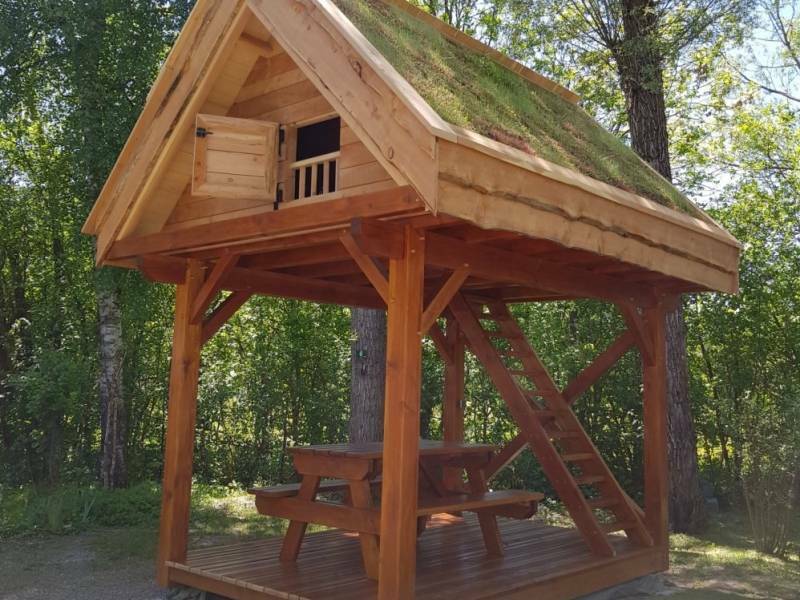 The « Air Mythe », our nature cabin in wood, welcome you for an unusual night in a couple or between friends. Rent per night all season. Let’s try a new experience : sleeping in a Pod. It’s just like a stay in the hotel room but surrounded by mountains. 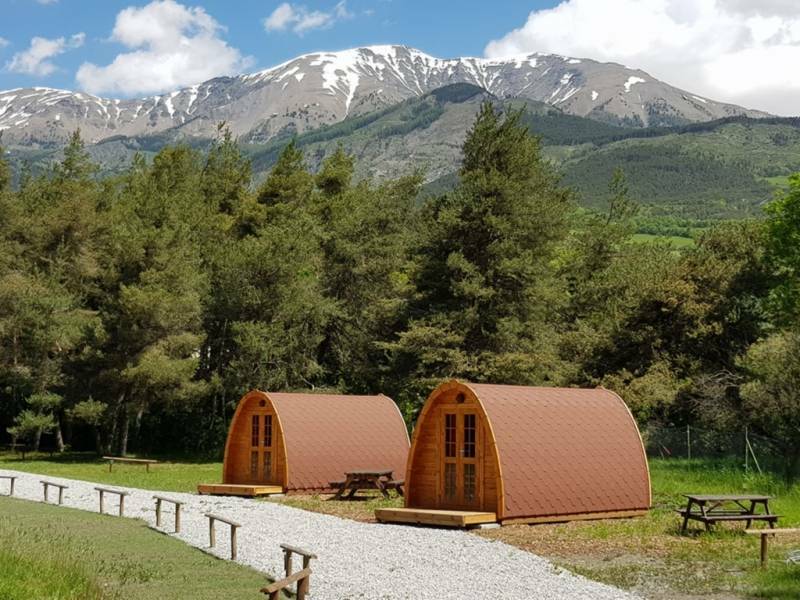 Perfect for your holidays in the mountain ! 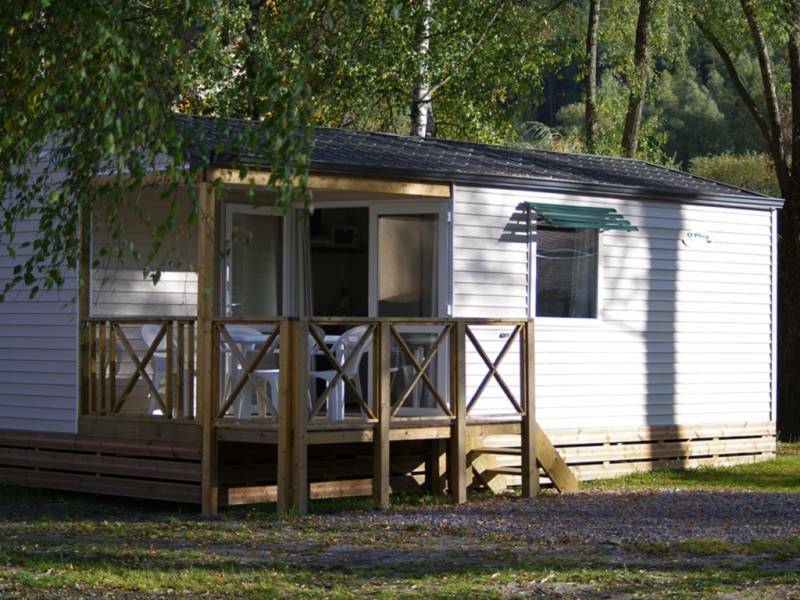 If you are looking for a comfort accommodation for your holidays, our mobile-homes are waiting for you. 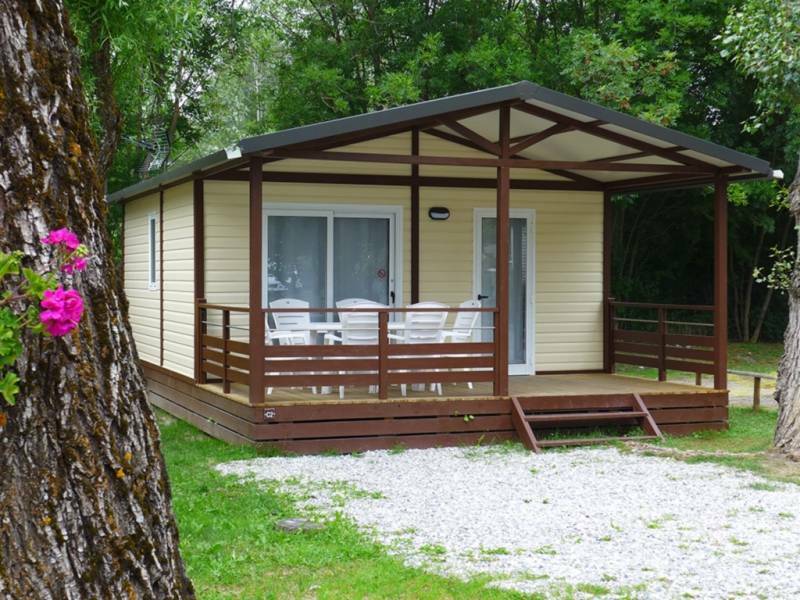 There are two bedrooms, a bathroom and an equipped kitchen. You can also have a drink and chill on the terrace. 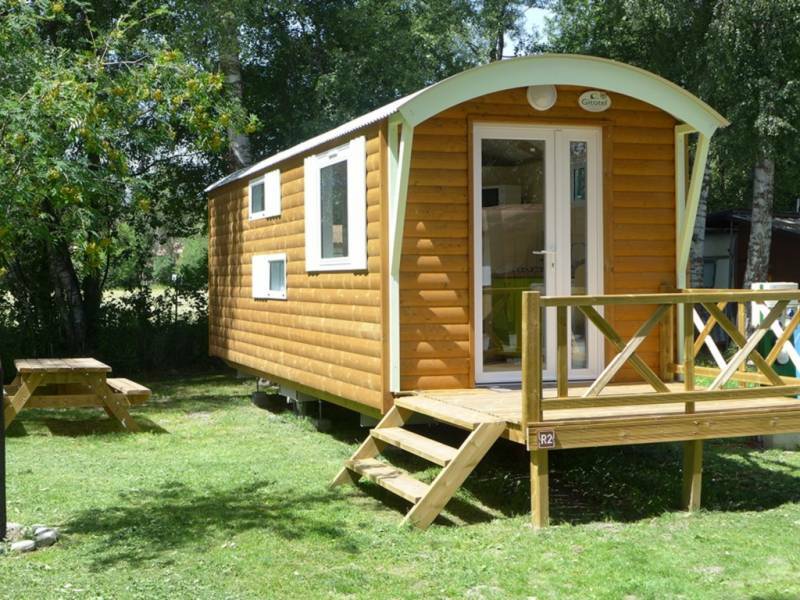 Enjoy a slow living lifestyle moment in an original accommodation with all comfort. 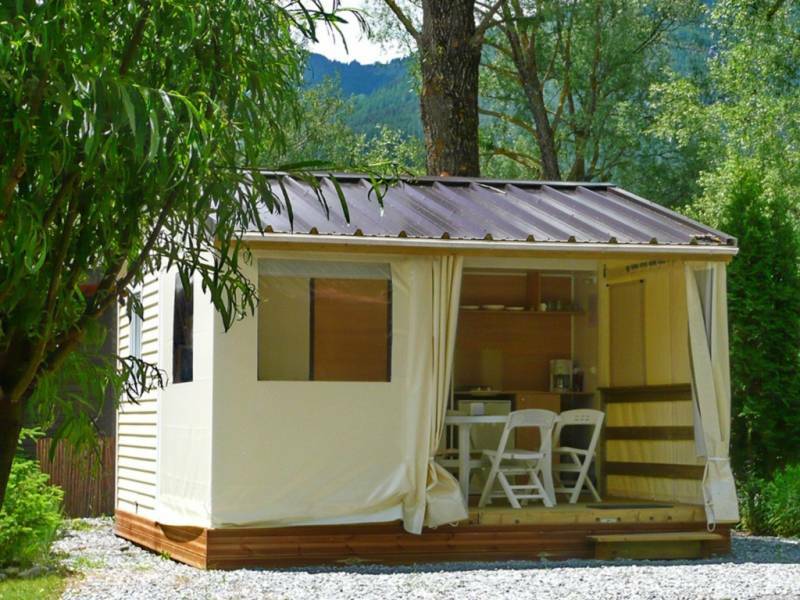 Enjoy your stay in the campsite with bungalow. Are you a real camper? Let’s try our caravan!